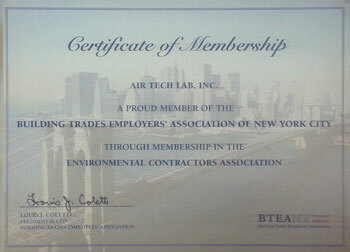 We are a 30 year old environmental company. We offer a complete range of environmental remedial services. 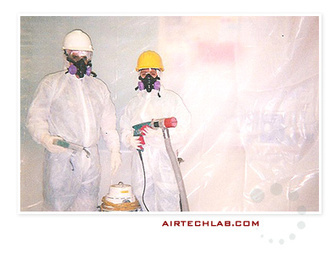 We had performed Thousands of Asbestos Abatement, Lead Removal, PCB Lighting Fixtures, Mold remediation, and after Fire cleanup. Our clients vary from Airports, schools, public projects, high rise Buildings, and private high end residential. We have been doing work in the New York area for more than 29 years. And we have excellent reputation. project planning and careful project management. performance in solving their remediation problems. • Because we plan our work around you and your production needs. • Because of our cost-effective services designed to meet your needs. • Because we have been in this industry for over 20 years. © Copyright 2014 - Air Tech Lab, Inc.